Whether you grew up with Jollibee or it’s your very first time, here’s what you can expect when you go to visit the Filipino fast food giant’s fourth store in Canada. 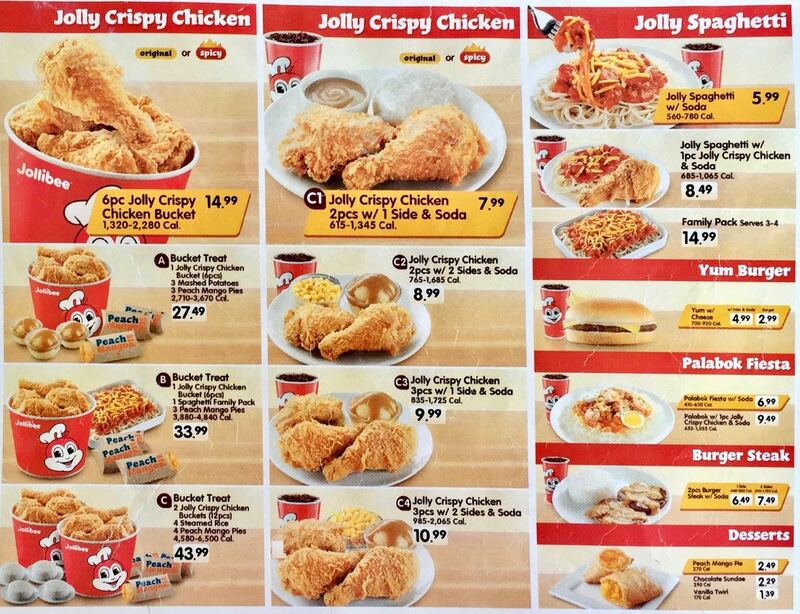 Here’s Jollibee Canada menu prices. Jollibee Canada’s fourth store is located inside Seafood City Supermarket in the city of Mississauga. There is plenty of free parking at the site, and ample seats for customers inside. There are also seats available at the Seafood City Supermarket food court. Most people order take out, so there are usually seats available. Jollibee Mississauga is also accessible using MiWay, with the nearest bus stop at the corner of Mavis Rd. and Boyer Blvd. Just like Jollibee Scarborough, Jollibee Mississauga won’t be serving Breakfast Joys just yet, so please don’t go there expecting Corned Beef, Beef Tapa, Breakfast Steak or Hot Dog for breakfast. All the other fan favourites are here though, including Jolly Spaghetti, Yum Burgers and Chicken Joy. Did we mention that there’s Palabok Fiesta as well? FYI due to someone else owning the trademark, Chicken Joy isn’t called Chicken Joy in North America. It’s called Jolly Crispy Chicken. Go ahead and order Chicken Joy, the guys at the counter will understand what you want. 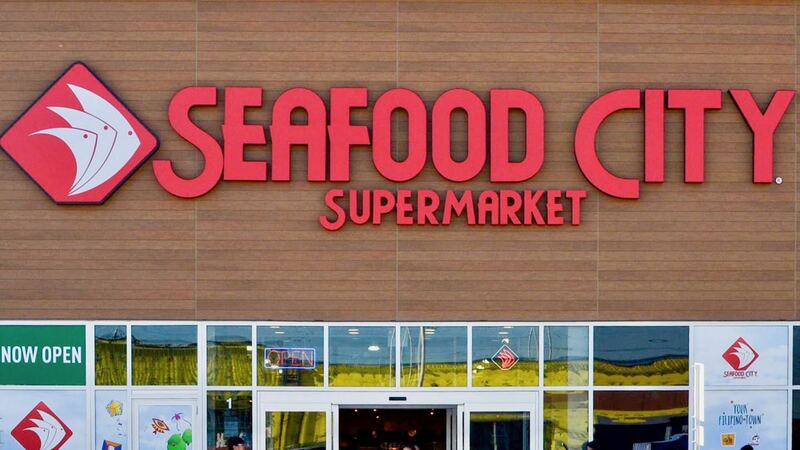 Jollibee Food Corporation (JFC)’s ambitious international expansion continues, with Jollibee Mississauga opening at Seafood City Supermarket on June 20. The first two Jollibee stores in Canada are both in Winnipeg, Manitoba, with the third store located at Kennedy Commons in the Scarborough neighbourhood of Toronto. Jollibee Mississauga will be Jollibee Canada’s fourth store. Canada is home to the second largest Filipino community in the world (second only to the United States). By some accounts, the Filipino population in Canada is now at 851,410 and growing. The largest Filipino community in Canada can be found in the province of Ontario, with the largest concentration in the provincial capital of Toronto. By some accounts, the Filipino population in the Greater Toronto Area (GTA) is now at 282,385 and growing. With Jollibee Canada already operating two stores for over a year in Winnipeg, and a third at Kennedy Commons in Scarborough, JFC had already streamlined their operations in time for the Mississauga location opening. Local blogs announced that Jollibee Mississauga will open its doors to the public bright and early at 7:00am on Friday, July 20. When Jollibee Scarborough opened, people lined up for hours just for a taste of Chicken Joy and Jolly Spaghetti. It was a cold winter day, and while there was no longer any snow on the ground, temperatures were still below zero (a little colder because of the wind chill). This won’t be the case for Jollibee Mississauga. Jollibee Canada chose a beautiful summer day to open Canada’s newest Jollibee. Weather forecast is partly cloudy, with a high of 29 degrees celsius. Whether it’s your first time eating at there or just need help deciding on what to order, here’s a description of what you can expect at Jollibee Mississauga. Jollibee didn’t invent Filipino spaghetti, but they really did put it on the map. The sauce is much sweeter than other kinds of pasta sauce, and has three kinds of meat: ground beef, ham and hot dog. Okay, maybe more than three kinds of meat then. All this topped with shredded cheese. BTW, it doesn’t have to be someone’s birthday for you to enjoy Jolly Spaghetti. This is what made Jollibee famous worldwide. Chicken Joy! The taste of deep fried chicken is what put the fast food chain on the map. The story goes that when Jollibee first introduced Chicken Joy in the Philippines, people were found the idea of eating fried chicken that wasn’t KFC so strange that they literally had to stop people on the street and give the chicken away. Can’t have enough of that Chicken Joy goodness? Why not go for a bucket? It’s okay, we won’t judge. Sharing is caring! Jollibee’s take on the American hamburger isn’t anything super special, but it does have the special Jollibee secret sauce. Since you’re already there, might as well pick up a couple of Yums to go with that Jolly Crispy Chicken. Vermicelli noodles is topped with a traditional Filipino sauce with shrimp, ground pork and hard-boiled egg slices. While it doesn’t come with real calamansi, there’s a small packet of calamansi juice for you to splash all over it before you take your first bit. Did we mention that there’s chicharon involved? You know, Filipinos do love their rice meals. That’s why when Jollibee was but a David to McDonalds Goliath in the Philippines, they decided to forgo the buns in favour of rice. And gravy (don’t forget the gravy). Congrats, Mississauga! Enjoy your Chicken Joy!